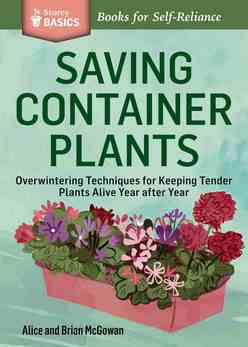 Saving Container Plants: Overwintering Techniques for Keeping Tender Plants Alive Year after Year. You don't need to replace your container plants each year! From geraniums to fuchsia, many of your favourite plants can be overwintered and enjoyed for season after season. This Storey Basics guide shows you the simple techniques you need. Includes a plant-by-plant guide for quick reference.